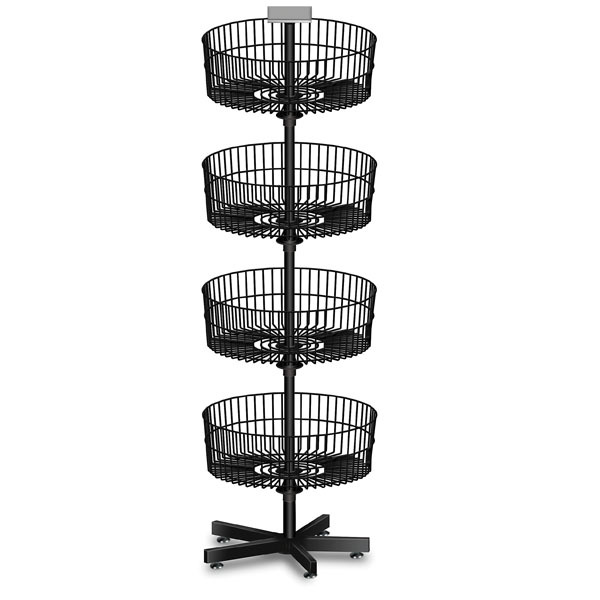 This Large Basket Spinner has great optimal visibility and products can be seen at all angles. Each bin spins independently so there is less wear and tear on the display. Baskets are 26 in. diameter and 7 in. deep.